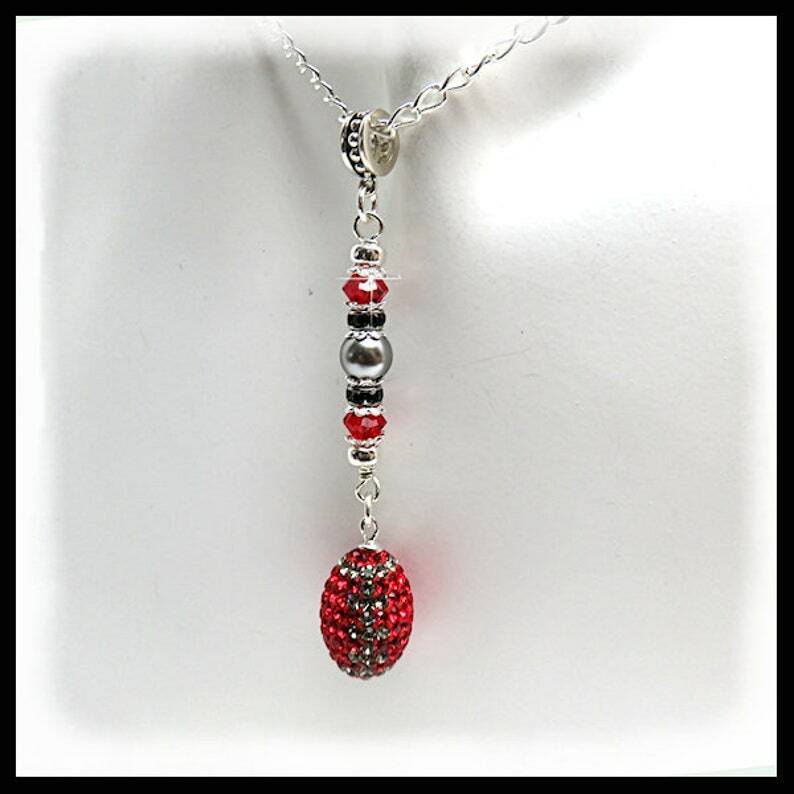 Bling Red Football pendant with Scarlet Swarovski crystals and rondelles, Gray Swarovski pearls, sterling silver beads and beadcaps. The football hangs on a 24" diamond cut curb chain. with a sterling silver lobster clasp.